(From Sony lens literature) Sony Electronics, a worldwide leader in digital imaging and the world's largest image sensor manufacturer, has introduced a new full-frame lens for their E-mount camera system, the FE 50mm F2.8 Macro lens (model SEL50M28). 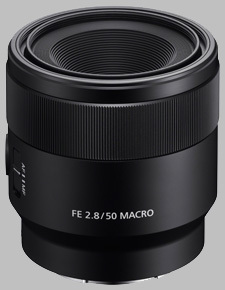 The new FE 50mm F2.8 Macro lens will be available in September 2016 for about $500 US and $650 CA, respectively. It will be sold at a variety of Sony authorized dealers throughout North America. The Sony FE 50mm f/2.8 Macro SEL50M28 doesn't have any user reviews yet!